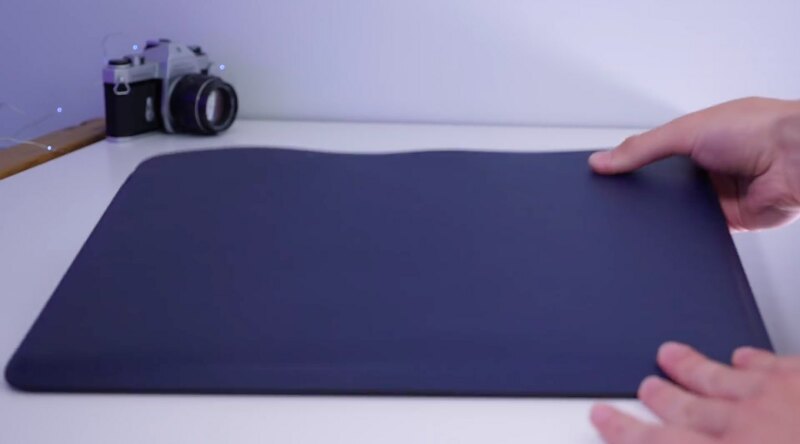 Following a recent announcement of the upgraded MacBook Pro family for 2018, Apple also released a luxury yet pricey leather sleeve for the pro notebook under the radar. 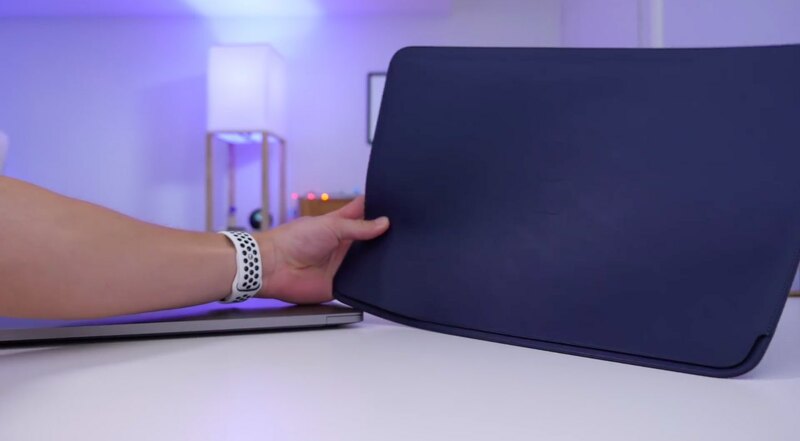 But coming in at $179/$199, is Leather Sleeve for MacBook Pro worth the steep asking price? 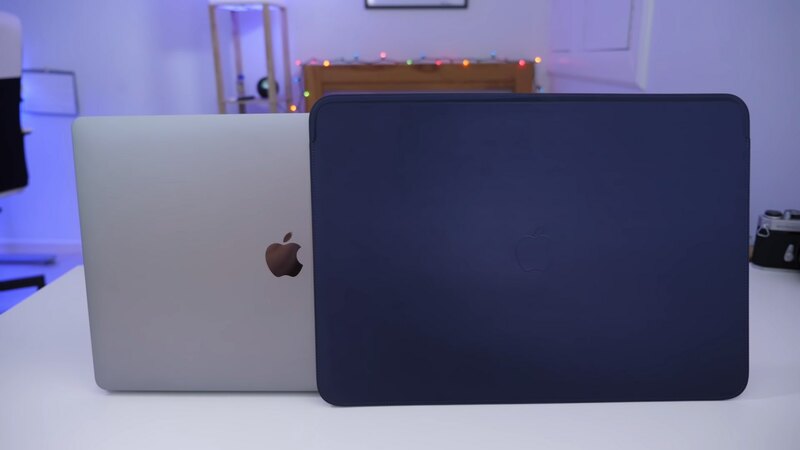 The minimal sleeve is available for both the 13- and 15-inch MacBook Pro models. Offered in Saddle Brown, Midnight Blue and Black with an embossed Apple logo on the top, they’re made of quality European leather and sport a soft microfiber lining for extra protection. But first, watch Harris’s hands-on video walkthrough of the product. Apple’s notebook leather cases were previously limited to the 12-inch MacBook. 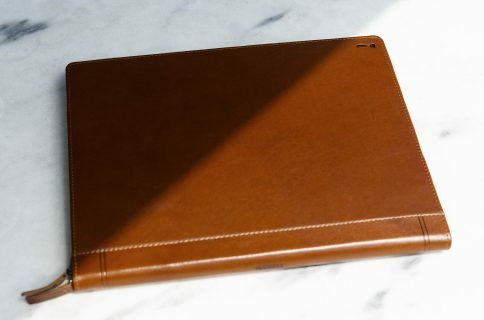 If their premium leather cases for iPhone, iPad Pro and other products are anything to go by, the latest MacBook Pro sleeves should age beautifully. And don’t you worry about the initial rigidity of the material: this case will relax and “breathe” a bit over time, becoming easier to put your MacBook Pro in. Designed in Cupertino and made in China, this case is crafted from high-quality European leather. This means itʼll be a little bit nicer and more durable than genuine leather is. 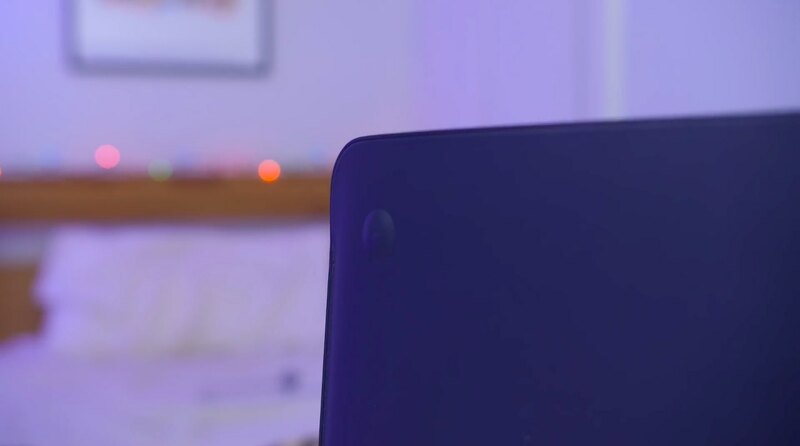 The soft microfiber lining keeps the computer protected while inside the case. The sleeve’s convex bumps—the same size and location as the notebook’s feet—help the case fit more snuggly without the computer’s feet pushing it away. Just slide your Mac in and you’re good to go. Itʼs an admittedly tight squeeze, but fits like a glove. The sleeve needs to be aggressively tight to keep the notebook from falling out when it’s held upside down. If it doesn’t feel natural to you, blame it on the rigidity of the leather. There’s no locking mechanism, zipper or leather clasp on the uppermost opening. There are two types of use for a sleeve like this. Firstly, it offers solid protection for when you’re carrying your notebook around. And secondly, there’s desktop use. Sadly, however. the ventilation intake ports along the side make it difficult to use the computer in clamshell mode while it’s inside this sleeve. Leather Sleeve for 12-inch MacBook is immune to this issue. The idea: being able to leave your machine inside a sleeve and connect it to a Thunderbolt/USB-C monitor that can provide power to the notebook while acting as an external display. This isn’t possible with this sleeve due to the computer’s design. In case you’re wondering, putting your notebook inside a sleeve backwards won’t expose its USB-C ports. So, coming in at $179/$199: is this case worth the steep price? It depends on your salary and the definition of “expensive”. People who are on the lookout for a notebook case that has more features should probably look elsewhere. As premium as it is, Apple’s sleeve isnʼt particularly easy to put your notebook in or to take it out. The uppermost opening leaves the exposed portion of your MacBook Pro somewhat unprotected while in a bag or when carried around. The opening doesn’t do a good job at keeping the dust and debris out either. And lastly, even though this is pretty much evident, the sleeve offers zero storage space for any accessories. Despite the premium finish, there are more convenient options out there priced much less. For instance, Alto’s cases are made from the finest European leather, too, but cost less than their Apple counterparts and are simply too good to be this unknown. Or take Twelve South, another premium Apple accessory maker. 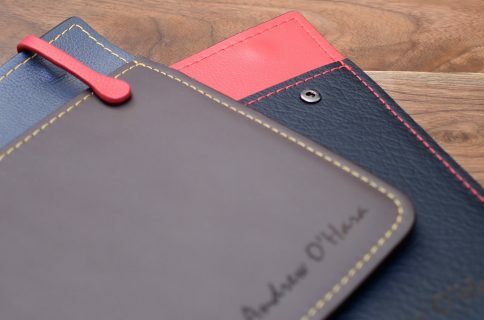 They have an excellent range of handmade BookBook leather cases for the latest MacBook Pros that don’t just offer solid protection for your notebook but also look business. We also wrote about Mujjo cases that focus heavily on style and great attention to detail, but are nonetheless fully functional products. And if you’d like to use your Mac notebook in and out of a sleeve, be sure to check out Picaso Lab’s Action Sleeve for MacBook Pro. A cause search on Amazon reveals a bunch of sub-$100 MacBook Pro cases. 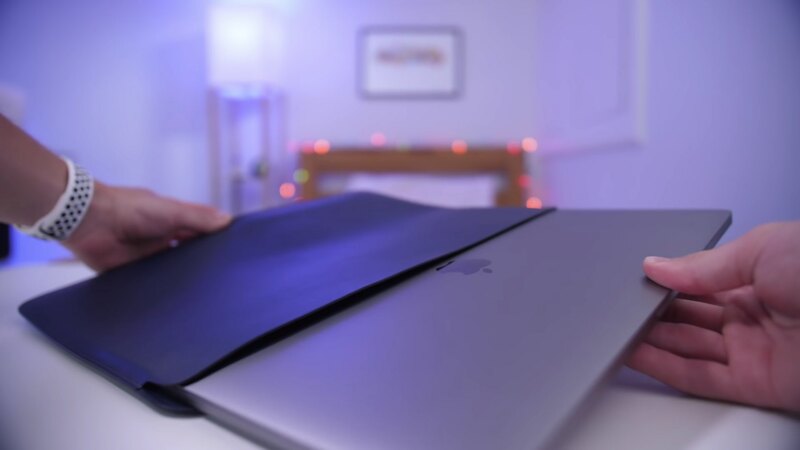 However, if your budget does permit burning $199 on a premium notebook case, or youʼre a sucker for high-quality branded leather, or are someone who prefers the complete Apple experience—don’t listen to our rant and go for it by all means. The leather case is available for the 13-inch MacBook Pro models, priced at $179 a pop. Opting for a 15-inch edition of the sleeve will set you back an extra $20, for a total of $199 a piece. 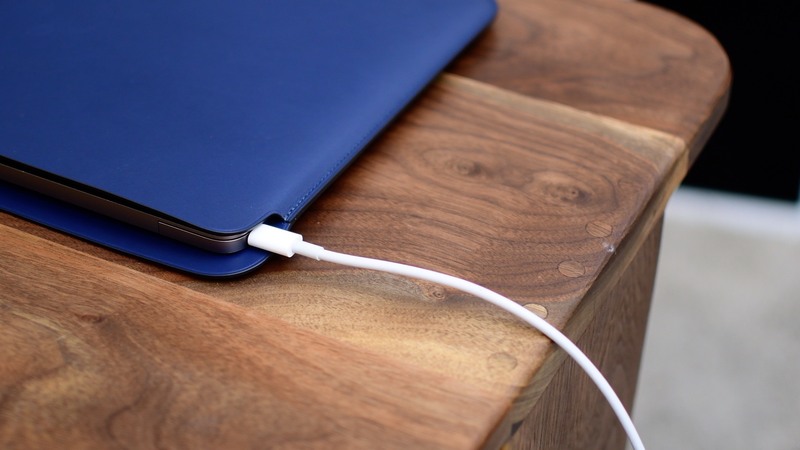 Apple’s accessories are never cheap, especially leather ones, and this sleeve is no different. Made from tanned European leather, it does eventually justify the price somewhat. What are your thoughts on this premium leather case from Apple? 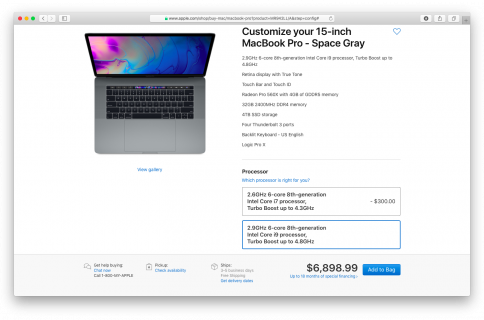 Is Apple out of its mind to price this product at $179/$199? Does the high asking price reflect the quality of the material and the premium look and feel, do you think? And finally, is this product a prime example that the price really is what you pay for?